Austin, TX—Robert Rountree, MD, has been honored by receiving the Linus Pauling Functional Medicine Award at the Institute for Functional Medicine’s 2015 Annual International Conference, held May 28-30, 2015, in Austin, Texas. Dr. Rountree receives this award for his pioneering work in the development of Functional Medicine and for his role as a highly inspirational and informational member of IFM’s faculty. Dr. Rountree has provided his unique combination of traditional family medicine, nutrition, herbology, and mind-body therapy in Boulder, Colorado, since 1983. About 15 years ago Rountree opened Boulder Wellcare, a private practice specializing in individual healthcare consulting. He is an editor, regular columnist, and has co-authored numerous books on Integrative Medicine, including a chapter in the 2010 Textbook of Functional Medicine. 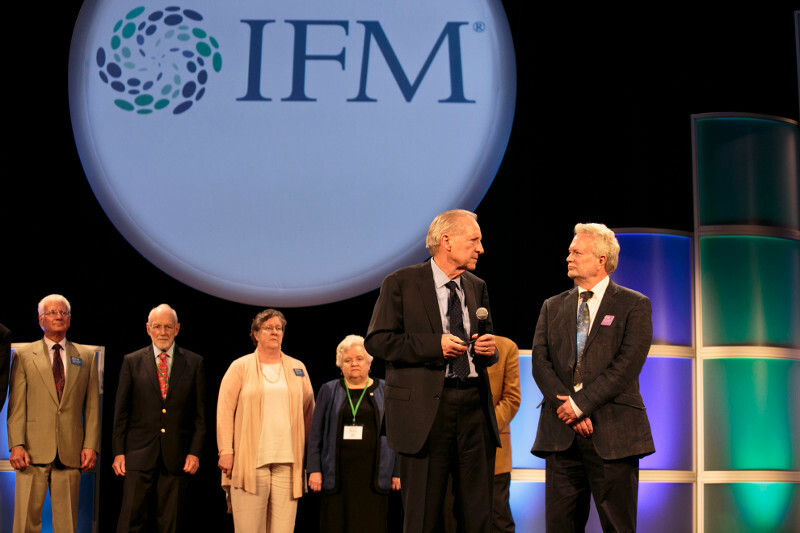 The Linus Pauling Award has been presented by IFM since 1996 to clinicians and researchers whose work has pioneered important principles in the Functional Medicine model. Dr. Rountree’s work has furthered the shift in medicine from an organ system paradigm to a systems-medicine approach and has helped to evolve Functional Medicine’s clinical and patient-driven approach for prevention and comprehensive treatment of chronic, complex disease. Rountree has been a core faculty member for IFM’s five-day foundational course, Applying Functional Medicine in Clinical Practice (AFMCP), since its inception and has lectured on Functional Medicine all over the world.